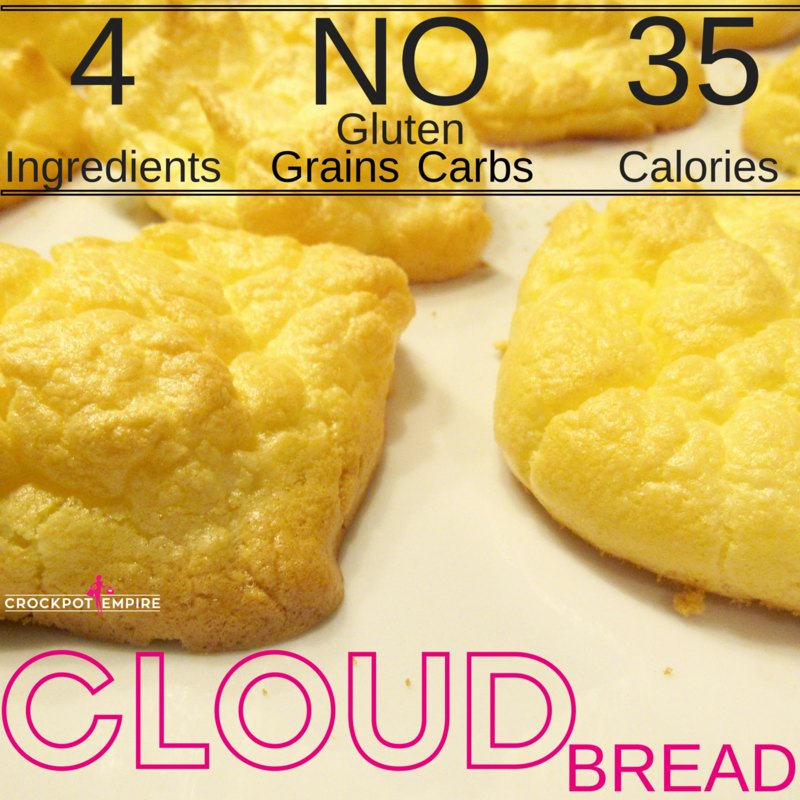 CARB free, GLUTEN free, GRAIN free, only uses 4 ingredients and has only 35 calories! Lightly grease a cooking sheet or line with parchment paper. In a small bowl and your mixing bowl, separate your yolks from your whites. -Be very careful not to get any yolks in the whites!!! Mix cream cheese, honey and salt into the yolks with a whisk until smooth. Using an electric mixer, beat your egg whites and cream of tartar (or baking powder) until stiff forms peak. -This usually takes 1-2 minutes, but be careful not to over mix. In the large mixing bowl, CAREFULLY and gently fold your yolk mixture into your white mixture. Using a large spoon, place rounded spoonfulls onto your cookie sheet. Cook for 30 minutes (or until the bread is nice and golden on top). Cool on cutting board or large plate. Immediately out of the oven they will be hard and somewhat crunchy. Store overnight in a plastic bag for extra softness.